Jim Riley has built an impeccable reputation of providing beautiful craftsmanship and on time service from his first day in business as a general contractor 17 years ago. When Jim started his business in 1992, at the age of 24, he made a conscience decision that the focus of his career would be the high end custom home market. He knew this field would provide the mental and physical challenges that would teach him the tools and techniques to elevate him to be the best in his field, and keep him in demand as a general contactor. 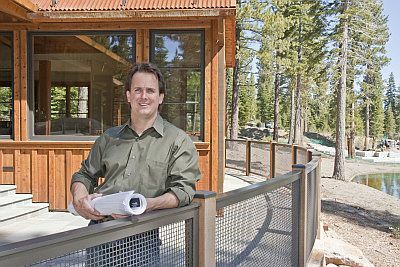 Making these choices early in his career enabled Jim to work on truly exquisite homes honing his skills as a craftsman and learning the attention to detail needed to become the type of general contractor he envisioned for his aimed market. Jim has been a certified Build It Green contractor since 2010.